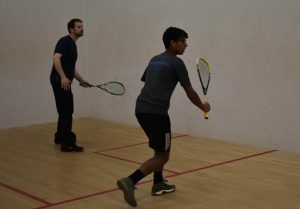 A young squash player who is being coached at Wolverhampton Lawn Tennis & Squash Club is relishing taking part in further competitions after powering to glory in the Shropshire Championships. 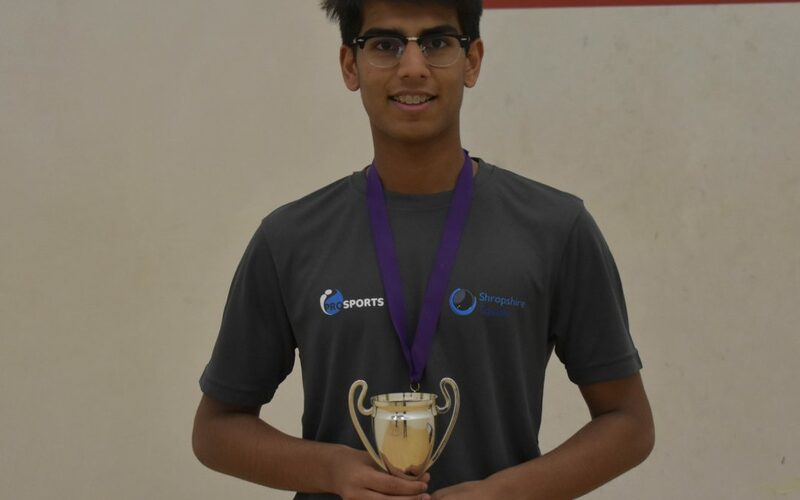 Morya Wadodkar, aged 15 and from Telford, won the Shropshire County Junior Closed Under-17 championships staged at Shropshire Squash Club just before Christmas. 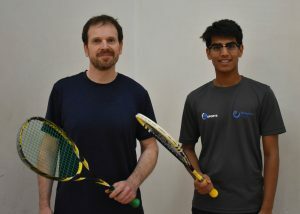 Morya, coached at WLTSC by Head of Squash & Racketball Chris Dawson, has been continuing to develop his game at the club for just over a year, having first started playing when he was living in Northern Ireland. “We used to live in Belfast, and, when I was about seven, I started playing squash as there was a club very close to our house at the time,” he says. “I played for about three years and took a bit of a break when we moved to England, before playing again at a club in Shrewsbury. “When we moved to Telford it became close to come over to Wolverhampton, and I have really enjoyed being coached over here. “I am in the Shropshire squad for inter-county events, and am also now getting back into individual competitions, so it was great to win the Shropshire County Closed. “I wasn’t really expecting to win, and had some very close games, but I managed to come through which was fantastic. “I also enjoy playing cricket and rugby, but I really enjoy squash, as it is an individual sport which is very intense. Chris has been delighted with Morya’s continuing progress, and thinks he has plenty more potential for the future. “Morya has done very well, he is quick around the court and has really good ability and a range of shots,” he says. “I know that when he plays rugby he is a winger, and I can see that with his speed, because speed and movement are two really key attributes in squash. “We have been working on many different aspects including routines and conditioned games, and we usually play a match at the end of the session where I try to push him and put him under pressure. Morya, who was watched by several members of his family in the final, received his trophy from the Mayor of Shrewsbury, Councillor Peter Nutting.